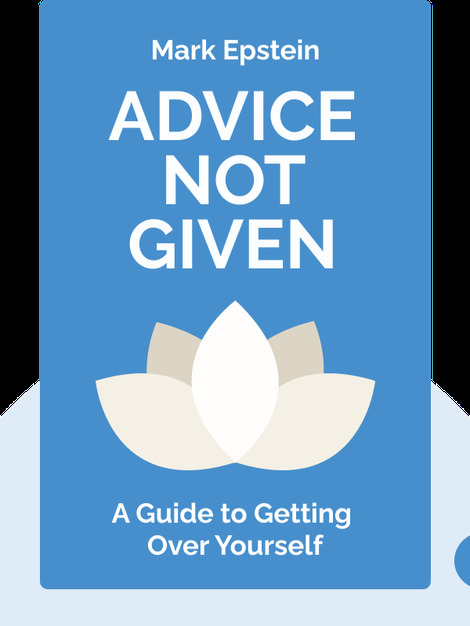 Advice Not Given (2018) provides a fresh perspective on the practice of meditation from author Mark Epstein, an experienced psychiatrist who can attest to its therapeutic benefits. Epstein provides newcomers with a practical approach to meditation as he dispels the common misconceptions about the practice while offering clinical examples of how helpful it can be to our mental health. 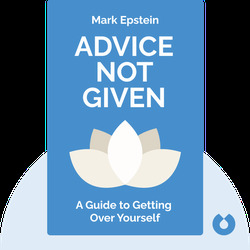 Mark Epstein is a New York City psychiatrist whose experiences have provided him with a unique interest in the connections between psychotherapy and Buddhist meditation practices. He has written several books exploring this connection, including The Trauma of Everyday Life (2013).